Imagine unearthing a very old, dusty puzzle. Without its original box, the contents of the puzzle remain a mystery. After hours of work, you discover that several key pieces are missing. Sadly, the final image is lacking, with telling details lost forever. You need the help of a personal historian. Family histories resemble an incomplete puzzle. With each passing day, memories fade, anecdotes disappear, and secret family recipes retire. The lofty goal of the personal historian is to immortalize the past by documenting the “who, what, where, when and why” of yesterday. Through books, audiotapes, CD-ROM, and other technologies, they race against time to record elusive memories. “Stories can disappear within one or two generations,” says personal historian Kitty Axelson-Berry. Initially, the personal historian must lay the groundwork by thoroughly interviewing the client. Knowing the basics is essential, but personal historians must delve deeper. Vera Rosenbluth credits her excellent interviewing skills to a professional background as a broadcaster. The successful interviewer must also be sensitive to the client’s needs, says Axelson-Berry. 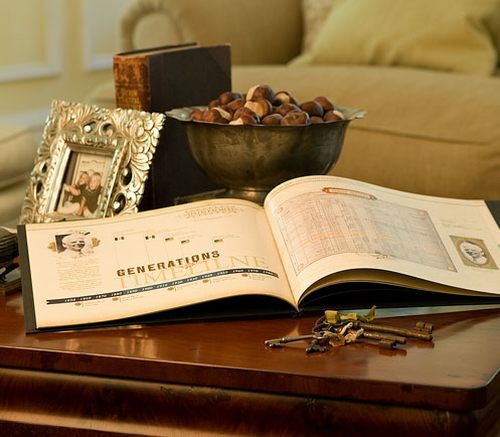 With many personal memoir and family history books falling into the 30- to 60-page range, organizing massive amounts of information into a cohesive unit can be a challenge. Axelson-Berry’s background as a newspaper editor for an alternative news weekly allows her to present family histories that are both entertaining and accurate. Rosenbluth adds that “good listening skills, with warmth, and a genuine interest in people” are some of the essential characteristics that define the successful historian. There may be a multitude of rewards in documenting the biographies of descendants, but a good income isn’t one of them. Axelson-Berry claims that just one interview can stretch to 20 hours. And when you add in the cost of hiring talented and reliable subcontractors — such as printers, videographers and photographers — making money can be quite a challenge. Earnings per project vary widely. Most jobs require limited edition printings of less than 200 copies. For a 24-page book with two hard-bound copies, the cost is roughly $1,800 with an additional cost of approximately $100 per extra book ordered. This translates to a $6,000 charge for the “average” family history. If one deducts the fees owed to a variety of subcontractors, earnings take a nosedive. And it can be difficult to get clients. “This project requires people to go back into old memories which can be painful. They think they’ll do it tomorrow,” says Axelson-Berry. Additional sources of income become a requirement for survival. Axelson-Berry teaches classes on bereavement books. She also founded the Association of Personal Historians, which offers seminars and conferences to industry members. Rosenbluth offers her own set of workshops — she not only teaches techniques for obtaining personal memoirs, but she also trains volunteers to document the family histories of senior citizens and terminally ill patients. Have you heard of Heritage Makers? http://www.heritagemakers.com/292994 or my site http://www.photobooklady.com Heritage Makers is a company dedicated to helping people preserve their family stories. And it compliments what you do! As I’ve been searching the web tonight I realized that so many professionals are writing these histories, but have no residual income from all their work, thus my comment here. I am a consultant, growing my team of consultants and am focusing on men and women already helping people preserve their family stories. I want to point out to you a side business or upsell that would benefit you and your clients. This digital online publishing company publishes archive quality books (and other products). Being a consultant (and historian) would allow you to set up your clients with their own account, and whatever photo or story books they publish on their own, you get a residual from, for the rest of your life as a consultant. You still charge to write and publish their most important stories, then you simply benefit from their own projects. (online digital storybook publishing) Here’s my website: http://www.photobooklady.com and my replicated one: http://www.heritagemakers.com/292994. Again, if you were to be a consultant and use HM to publish the books, creating an account for your customers, they then could go in and publish all sorts of story/photo books, and many other archive heirloom quality items (canvases, playing cards, posters, etc), giving you income from what they do on their own. Feel free to check it out and contact me if you are interested in exploring this. There are links on the website for you to look at the business opportunity closer. The comp plan was just revised (for the better) so if you’re interested I’ll send you the link to look at. I love what you are doing! YAY for preserving family stories! @SherLynne, Is heritage makers the leader in this space? Do you work for them? This work can and often is without compensation! Family memories is important. Maybe that is the reason why they preserve it. It can be handed down from generation to generation.